I have been conducting some experiments running the ForgeRock stack on Kubernetes. I recently stumbled on namespaces. In a nutshell Kubernetes (k8) namespaces provide isolation for instances. The typical use case is to provide isolated environments for dev, QA, production and so on. I had an "Aha!" moment when it occurred to me that namespaces could also provide multi-tenancy on a k8 cluster. How might this work? The above command launches all the containers found in the given directory, wires them up together (updates DNS records), and create a load balancer on GCE. That second IP for openam-svc is the external IP of the load balancer configured by Kubernetes. If you bring up this IP address you will see the OpenAM login page. A kubectl get services should be empty, as we have no services running yet in the tenant1 namespace. This is the same command we ran before - but this time we are running against a different namespace. Pretty cool. We now have two OpenAM instances deployed, with complete isolation, on the same cluster, using only a handful of commands. 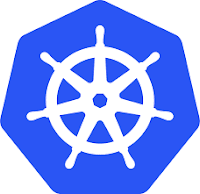 Hopefully this gives you a sense of why I am so excited about Kubernetes.